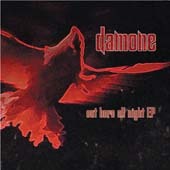 Out Here All Night EP-=> Damone's Out Here All Night EP is their highly anticipated new album, on a new label. This album is significantly different from their last album (From the Attic) released in 2003, as they have changed their musical direction from poppy, catchy tunes to something heavier. Greatest Hits-=> Blink 182's Greatest Hits was recently released. Check out lyrics to previously unreleased songs! 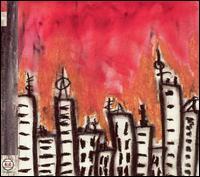 Broken Social Scene-=> Broken Social Scene's self-titled album has recently been released. It is quite the masterpiece, and adds to the collection of amazing albums from one of the best indie bands. We have just added a section on the site devoted to this amazing band (it's everchanging members include members from Metric, Feist, etc.). A must listen!